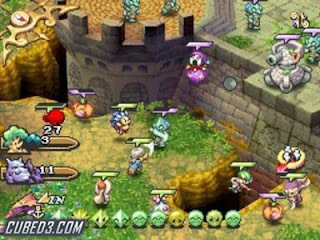 Nintendo fan site Cubed3 just posted a great hands-on write-up of the upcoming Heroes of Mana. Sounds like the game plays along the lines of Warcraft--an interesting twist for the series, if ever there was one. The game certainly looks stunning to these eyes, and that alone has it on my "must buy" list. Now if only Square-Enix would announce the darn thing for the U.S.